The weather forecasts before our walk on October 13th had been pretty ominous, with rain, high winds and even lightening forecast. But PDMHS walkers are a hardy bunch, and a total of 14 of us turned out to brave the elements at our meeting place at the bottom of Coombs Dale in Stoney Middleton. Here are the guided walks and underground mine visits we currently have planned for the next few months in the Derbyshire Peak District. Do keep checking back here, as more walks and underground trips will be added to the list. All our walks are free, and are open to all (not just PDMHS members). However, pre-booking is required when walks are limited to a certain number of people. As the walks are all also weather-dependent, we can keep you informed by email of any changes or cancellation in the event of bad weather. You can contact us at meets@pdmhs.com. Any changes due to weather conditions will also be posted on the website, so it is advisable to check back here before you set out. Also, if you are planning on attending with a large number of friends, it would be worth checking with us in advance about car parking availability. Our walks are free but if you would like to express your appreciation, a donation would be very welcome. Alternatively you might like to join PDMHS. Insurance is compulsory for those going on underground trips. The PDMHS UEG (Underground Exploration Group) can arrange this if you don’t already hold BCA insurance. You can contact the UEG here. 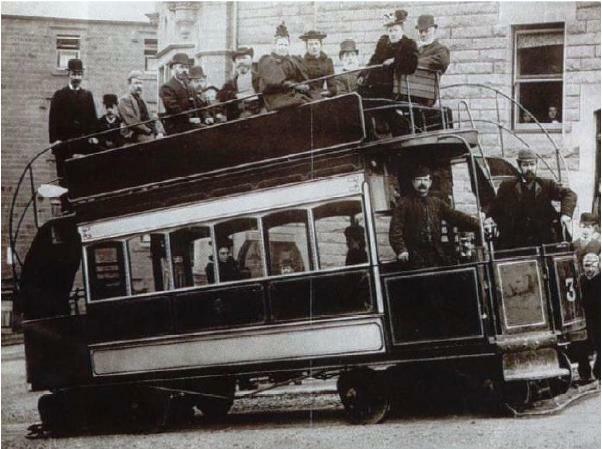 Sunday 28th April – Heritage Walk: the Matlock Cable Tramway. This is an ALL DAY walk. Meet at Darley Bridge car park and picnic site on the B5057 (grid ref SK270622, nearest postcode DE4 2JY), on the B5057 just before the Square & Compass Inn if you are coming from the A6. Party size is limited to 15. For meeting time, further details or to book your place(s), please contact Paul Chandler, either by email: meets@pdmhs.com or phone: 07908 607513 (Mobile/Text is best). This is a relatively easy walk, with a total length of 7.51 miles. There is one gradual ascent to Farley Moor, and a steep, becoming more gradual descent into Matlock. Finally, nice and flat back to Darley Bridge! Enroute, paths, field paths, tracks, a few stiles, woodland, pavements, steep steps, tarmac roads – quite a variety! Matlock once had a cable tramway, similar to the one still operational in San Francisco. On our arrival in Matlock, we will walk the full route of the tramway from Matlock Bank down to Crown Square, viewing an unusual shaped stone building & picturesque tram shelter (both associated with the tramway). Paul will be bringing copies of two amazing photographs showing the operational tramway, plus an informative article! Other features of interest on this walk are two old mills (both in use, but not working), Warney Mill and Dakeyne Flax Mill. The Dakeyne brothers are perhaps best known as the inventors of the disc engine which was installed in the 1830s beneath Bateman’s House in Lathkill Dale. There is also a short, gritstone mine level to explore. The walk route is as follows: Darley Bridge – Two Dales – Ladygrove – Farley Moor – Hurker Wood – MATLOCK – Derwent Valley Heritage Way – Darley Bridge. Distance: 7.51 miles. A packed lunch & drink is optional, as various food outlets are available in Matlock, where lunch is planned. Bring usual walking equipment, a torch (optional) & camera. A copy of the walk route map is available from Paul on request. Dogs must be kept on leads. Optional drink after walk at the Square & Compass Inn, Darley Bridge. The walk will be repeated for Society members who are unable to attend on this date. More information about the Dakeyne engine can be found in PDMHS Newsletter No. 140, October 2011 – Book Review “The Romping Lion: The Story of the Dakeyne Disc Engine”. Tuesday 7 May – Underground trip into Peakshole Sough, Castleton. Meet at the Visitor Centre Car Park, Castleton, at 7pm. 8 places available. To reserve your place, contact meets@pdmhs.com. Prior booking and BCA insurance is essential. The sough level leads to interesting pipe workings and there is an intact planked walkway at the far end. There are climbs on fixed ladders in upper levels to the upper levels where there are tight crawls so this trip is not suitable for complete novices, the water in the sough may be over welly depth depending on weather. More details are available in Bulletin vol.9 no.3. Trip by kind permission of Peak Cavern. 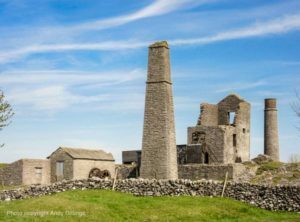 Tuesday 11th June – Mining Heritage Walk to Magpie Mine, Sheldon. This is an EVENING walk of less than 5 miles. Meet in Ashford village, near the packhorse bridge, where there is a small car park & street parking. Party size is limited to 15. To book your place(s), and for the meeting time or further details, please contact Paul Chandler, either by email: meets@pdmhs.com or phone: 07908-607513 (Mobile/Text is best). The walk includes a mini surface tour of Magpie Mine site, plus various features of mining interest on the way. The walk route is as follows: Ashford – Little Shacklow Wood – Sheldon – MAGPIE MINE – Sheldon – Great Shacklow Wood – Ashford. Total distance: 4.74 miles (approx). It involves a gradual ascent to Sheldon, including a short rocky/muddy section through woodland. Also an optional stepped descent in woodland on the return route, plus short road sections, field paths, stiles and tracks. Optional drink afterwards at the Bulls Head Inn, Ashford. Bring usual walking equipment, a torch for viewing shafts & levels and a camera. A copy of the walk route map is available on request. Sorry, no dogs on this walk. Advance Notice – trip to Zip World Titan, Blaenau Ffestiniog – Interested? Sit back and zip away as you and your friends fly down Europe’s largest zipping zone! Take flight on 3 exhilarating zip lines and soak up the amazing quarry views during the experience of a lifetime (Info from website). SUMMER Availability April – October. How many Zips? 3. How far? 1890m. Starting height 482m above sea level. Duration 2 hours. Cost? £50. WINTER Opening – £30, but only two Zips. Note: VELOCITY 2 is the scary/fast ZIP at Penrhyn Quarry, North Wales. Here are some photos from PDMHS member Rob who went on the underground zip-wire trip in 2015 and reports it as well worthwhile (and safe!). Organiser: Paul Chandler – It is intended that TITAN will form part of a walking/adventure weekend, I am planning in North Wales, possibly in May 2019. If interested, please register your interest (without obligation at this stage) with Paul. Email: paul.derbyshirecaver@btinternet.com or Tel: 07908-607513 (Mobile/Text is best) / 01246-220773 (Landline). Duckmanton Railway Cutting and Arkwright Town, near Chesterfield. Saturday 17th February 2018. Only one place still available. Prior booking essential – meeting arrangements will be supplied when booking your place(s). Paul Guion (East Midlands Geological Society) has kindly agreed to show us around this very important and unique geological site. A short, easy walk from Arkwright Town will bring us to the Duckmanton Railway Cutting (located on the long closed Lancashire, Derbyshire & East Coast Railway line between Chesterfield and Lincoln). The cutting is now split by a filled bridge, with access to the west side being over a stile and down some concrete steps. Access to the east side is over another stile and down a zig-zag inclined path. As the railway cutting will be wet underfoot, wellies are essential. Please also bring a helmet (if you require one, please mention it when booking, as Paul’s stock is limited). Further information and photographs of Duckmanton Railway Cutting can be found here. In addition, Paul will be giving us the background to the fascinating story of why an entire Derbyshire coal mining village, Arkwright Town, was “moved” in the 1990s. Duration approx 2hrs. 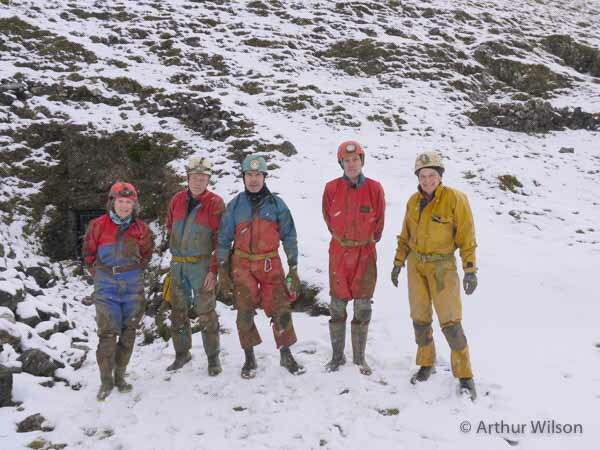 Party size is limited to 20 (including 5 places for Masson Caving Group members). Booking is essential, and priority will be given to PDMHS and MCC members. Contact Paul at meets@pdmhs.com or tel: 01246-220773. If over-subscribed, you will be added to a reserve list. Visit is courtesy of Derbyshire Wildlife Trust (permit supplied) and many thanks to Paul Guion for leading the walk. Please help us to keep these walks free by giving us a donation if you are not already a member of PDMHS. Alternatively, why not join us?